Autumn and its cooler nights announce the unofficial start of bath season. There’s nothing quite as pampering as a warm soak while the wind is howling outside and the leaves are swirling around. But because fall is our absolute favorite, we made special bath bombs to celebrate the season. Our Fízi bath bombs are formulated with mineral-rich salt found in the Great Salt Lake. Fun fact: the Great Salt Lake has the highest concentration of pampering salt on the continent! This means you get more benefits with each bath; salt contains skin-softening magnesium and other trace minerals that are essential for healthy looking skin. As you soak, it gently removes dry, flakey areas and softens rough patches so you emerge with smoother, calmer looking skin. For added pampering, we infused our fall Fízis with coconut oil and sustainably sourced shea butter. As your bath water is pouring, add a scoop of Bubble Up™ All Mixd Up for luxe amounts of fluffy, sulfate-free foam. (Because what’s a bath without bubbles, right?) Flu shot or no, a generous amount of Cold on Hold™ All Mixd Up wouldn’t be a bad addition at this point in the season either. Once your tub is full, light a fall candle and drop in one of our 3 Fízis from the It’s a Fall World, After All collection. Spa Day relaxes mind and body with a fresh eucalyptus and woodsy charcoal scent, Tarte energizes with fresh tangerine, or try Fall Me Maybe. 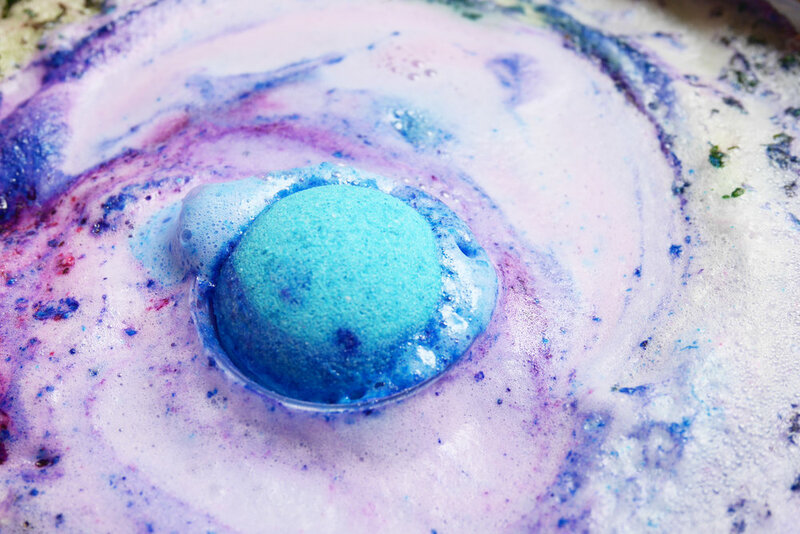 Scented with decadent blackberry and vanilla, this bath bomb is both a trick and a treat; its deep purple color creates a magic potion effect once it hits the water, transforming your bath into a vibrant hot pink. The best part? All the fall bath bombs feature double the amount of fragrance compared to our initial collection so you feel extra pampered as you soak. If you can’t pick just one, why not mix and match to create your own customized cocktail of Fízi flavors. It’s a Fall World, After All Fízi 3-pack launches September 14. Can’t wait to indulge? We don’t blame you! Reach out to a Posh Consultant to get these fall flavors now.